The video resolutions capable of being offered by SnapTube mainly depends on the source that hosts those videos. In other words, the tool won’t be able to offer us a resolution higher than the source. In the case of being on website that does provide videos in high quality, we’ll be able to download in different resolutions. Meta search engine to find videos on different sites by using keywords. Management of the videos downloaded from the application. The above-mentioned support for different resolutions. 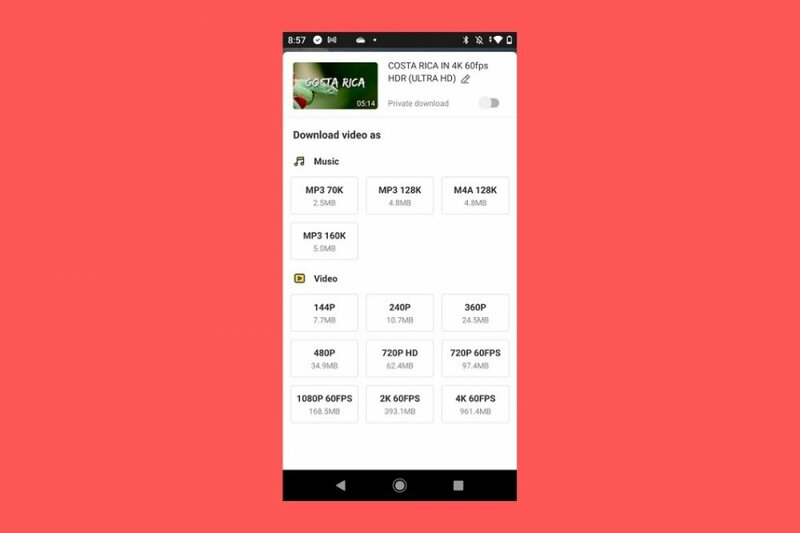 To the latter we have to add that it’s an app that’s very easy to use for any user, allowing us to download video and audio really easily, keeping things extremely simple.